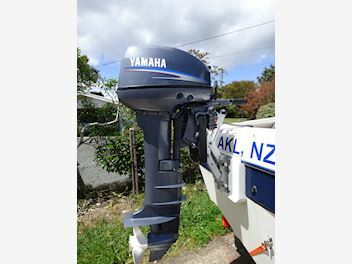 2006 Yamaha 15 hp 15FMHL in great condition with very little use. I have the owners manual, warranty book, and the tax invoice from when it was sold new. I bought the motor as an auxilliary for my boat 3 years ago and it has only been started to flush, and not used in that time. A few minor scratches and blemishes, overall a great motor. Comes with 2 fuel tanks.